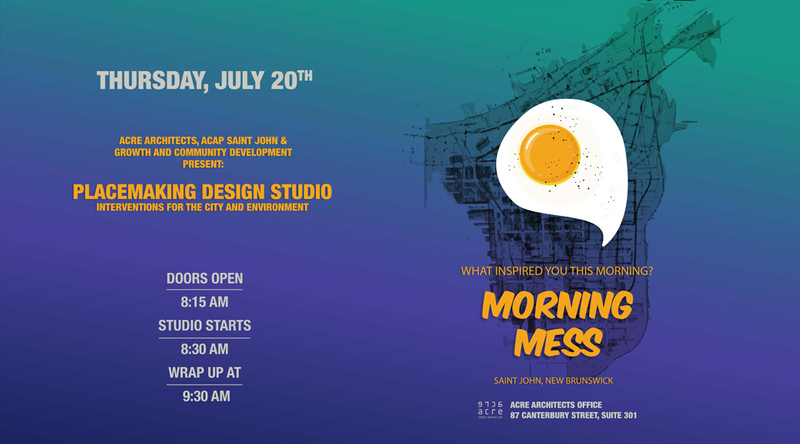 Join us alongside ACAP Saint John and Growth & Community Development for Placemaking Design Studio to generate interventions for the Uptown Saint John Neighbourhood Plan. Coffee and snacks will be provided. We look forward to seeing and hearing about your ideas!